Telluride, Colorado will welcome RV campers to their 25th Annual Blues and Brews Festival from September 14th to 16th. What a great way to end your summer and move into fall! For early arrivals, music starts with a free sunset blues concert on Thursday evening from 5-7 pm, followed by an opening party at 9 pm with Samantha Fish performing at the Sheridan Opera House. The main event begins on Friday the 14th with Dragondeer performing on the Main Stage followed by Russ Chapman on the Blues Stage. The music continues non-stop all weekend, featuring great bands like Robert Plant & The Sensational Space Shifters playing on Saturday night at 8 pm on the Main Stage. The Telluride Blues and Brews Festival takes place in the historic mining town of Telluride, Colorado, situated 8,750 feet above sea level in the heart of the Rocky Mountains. This year marks their 25th anniversary, making it one of the oldest music festivals in Colorado and one of the older ones in the whole country. There are activities for the kids all weekend long, including strolling clowns, face painting and puppets as well as more active games such as a climbing wall and inflatables. Blues & Brews is a three-day celebration of blues, funk, jam bands, indie, rock, gospel and soul performances —accompanied by some of the best craft breweries in the country, a wide variety of food and craft vendors, kids’ activities, late night shows, and much, much more. Even though the festival only lasts for three days and four nights, once you get to Telluride, you may not want to go home. Tickets are selling fast, so if you plan to go, get your tickets soon. Telluride’s Main Street, just steps away from the festival grounds, is home to a wide variety of shops, restaurants, and bars. After the music ends in Town Park for the evening, the festival scene moves into various music venues located throughout the town of Telluride. These are called “Juke Joints” and, once they get jamming, a walk down Main Street feels like a walk down Beale Street in Memphis. In addition to a full lineup of music featuring the likes of Marco Benevevento, The Keeshea Pratt Band, The Marcus King Band and many, many other performers, there will be a Telluride Blues Challenge on Saturday from 9–noon. Details are on their website. Telluride Blues and Brews also features a 5K race on Saturday morning. Blisters & Brews is a 5k Fundraiser Race on the morning of September 15th, giving Festival patrons the opportunity to exercise before the Festival. The 5k Race, sponsored by BootDoctors™ Paragon Outdoors, will raise money for the Telluride Adaptive Sports Program. Beginning and ending in Telluride’s Elks Park, Blisters & Brews provides runners with a safe, beautiful way to kick off their day. The route has been planned to enhance the running experience and highlight the beauty of Telluride. The race route climbs up the river trail giving racers the opportunity to take in the beauty of the Bridal Veil Falls on the way up and a gentle decline for the way back down to town and ending at Elks Park followed by live music, free beer and free Blues & Brews Yoga Sessions. For more information on the festival and RV camping there, please visit their website. At 8,750 feet elevation Telluride, Colorado is a picturesque town with amazing views tucked in the Rocky Mountains centrally located in southwestern Colorado, along the scenic San Juan Skyway. It’s about 125 miles from Durango, 330 miles from Denver and 366 miles from Salt Lake City, Utah. To rent an RV nearby for the Telluride Blues and Brews Festival, visit either of our locations at Denver, Colorado or El Monte RV Rentals in Salt Lake City. Plan to stop and visit some scenic places along your way or on your return. You can also rent an El Monte RV at one of these locations and return it to the other if you have time for a longer trip. RV camping, Music and Arts and Barbecue; what a great combination! You should try taking off for the last two weekends of summer by visiting the Nedfest Music and Arts Festival from August 24th to 26th in Nederland, Colorado, followed by the Bedford Blues and BBQ Festival, in Bedford, Texas from August 31st to September 2nd. What a great way to round out your summer! The NedFest Music and Arts Festival will take place on the shores of the Barker Reservoir in the mountains of Nederland, Colorado, just 17 miles west of and 3,000 feet above Boulder. This year marks their 20th year, making it one of the oldest music festivals in Colorado and one of the older ones in the whole country. They host a wide range of music, from rock and roll to blues, bluegrass to folk and Americana, with a hint or two of jazz. Onsite camping is available next to the Barker Reservoir and NedFest is very kid friendly, with kids 12 and under free with an adult, a kids’ tent with activities, and a special teen price too. Artists and craft vendors ring the field. Colorado microbrews and mead are on tap and we always have a variety of food vendors. With a capacity of only 2000 people you are never more than 200 feet from the stage and won’t have to walk a mile to the bathroom. Come up to cool, beautiful Nederland for some friendly welcome vibes and great music! For more information on the festival, and RV camping, please visit their website. Nederland, Colorado is a town tucked in the Rocky Mountains just west of Boulder at 8,236 feet elevation. Nederland has a history rich in mining and music and a future as the hub of the Peak to Peak Community. With unique shops, amazing outdoor beauty, friendly locals, and a vibrant music scene, Nederland is definitely not your average small town. To rent an RV nearby for NedFest, you can visit either of our locations at Louviers, near Denver, Colorado or El Monte RV Rentals in Salt Lake City. The Bedford Blues and BBQ Festival happens on the following weekend, the 31st of August to September 2nd. This is a real blues festival featuring Reo Casey and Tab Benoit, for example. This year’s lineup also includes Jason Elmore and Hoodoo Witch as well as Samantha Fish and Kenny Wayne Shepherd. For the full lineup of blues performers, check out their website. And, if the music wasn’t enough to entice you, this festival hosts a cook-off of down home Texas BBQ that is sure to make your mouth water. There’s a saying that to get to know a place and its people, you must first eat their food. In Texas, no food represents the culture more than authentic southern-style BBQ. The Bedford Blues & BBQ Festival, a 3-day event that attracts over 20,000 music and food lovers from all over the world. Taking place on Labor Day weekend, some of America’s most revered chefs congregate to rustle up tangy, smoking hot barbecue food against the harmonious backdrop of top quality blues and rock music. Wrap up your summer with a delightful blend of great blues music and award-winning barbecue. What could be better? Visit their website for directions, and other important information. There is some camping space on site and you can also camp at The Vineyards Campground in nearby Grapevine, TX, as well as other RV campgrounds in the area. Bedford, Texas is an area in the Mid-Cities area between Dallas and Fort Worth. As a ten square mile suburb of Fort Worth, it offers lots of recreational opportunities with several parks, including Brook Hollow Park and Bedford Trails Linear Park. Take some time to explore the area while you are there. You can find an RV to rent at El Monte RV rentals in Dallas, Texas. Colorado’s high country has a lot of territory to cover. But even if you don’t have much time, a Grand County, Colorado three to five day summer getaway can introduce you to the best of the Rocky Mountains. RV camping in this area reveals exotic views, plenty of water activities and horseback riding or even rodeos if you like. If you’ve arrived from the lowlands, be smart and take a day to acclimate while getting an introduction to the area. Remember to drink plenty of water and take it easy—you are on vacation, after all. Use your first day to take a drive on the Colorado Headwaters Scenic and Historic Byway. Begin on U.S. Highway 34 in Grand Lake. Follow the Colorado River south for 80 miles, through the towns of Granby, Hot Sulphur Springs, Parshall and Kremmling. A short drive from the town of Grand Lake, Kawuneeche Visitor Center is located just past the entrance to the park. Here, you’ll find an unforgettable drive through pine meadows, up rugged slopes, and out into the open alpine highlands, Shadow Mountain Reservoir, and Lake Granby. End with the spectacular view of the rugged Upper Gore Canyon. After your brief exploration, you may want to check in at your RV Campsite. If you’re looking to camp in or near the park, see suggestions below, or view the National Park Service’s Rocky Mountain National Park campgrounds page, which offers five in-park campgrounds, 3 of which are available for reservations, and two on a first come, first served basis. Nearby also find Elk Creek Campground and RV Park located in Grand Lake, Red Mountain RV Park and Wolford Campground in Kremmiling, and Snow Mountain Ranch in Granby near Winter Park. There is a US Forestry Service location near Winter Park and Granby as well where you can discover some of the best American outdoor experiences. See their official site for more details. Once you’re settled in, enjoy taking your time visiting the Pioneer Village Museum in Hot Sulphur Springs – see the town’s original courthouse, a blacksmith shop, a 150-year-old ranch house, and several antique rail cars. Other local historical sites and museums are open for visitors in Fraser, Grand Lake, and Kremmling. Use the evening to relax at Hot Sulphur Springs Resort. Kick back with a soak in the ancient area hot springs, and enjoy your beautiful surroundings. The Rockies are what it’s all about up here! Although Rocky Mountain National Park is one of the top 10 most visited national parks in the United States, its Western side is less frequented, less crowded, and much quieter. Plan ahead and pack a picnic. With 35 trailheads in the park and several picnic spots, your family can spend all day in the wilderness, getting up close and personal with the wildlife. Looking for a family-friendly excursion? Go on a hunt for secret places in Rocky Mountain National Park, which includes hidden lakes, hiking trails, and abandoned mining towns. First settled in the 1880s as a ranching, farming and lumber center, Grand County has maintained many of its original buildings and sites as museums. Use the day or even 2 days to get the full western experience! If you’re lucky to be here during rodeo season, experience traditional cowboy skills like roping, barrel racing, and bull riding. Watch the West come alive on Saturdays during the summer at Fraser’s High-Country Stampede Rodeo and Granby’s Flying Heels Rodeo. Continue your western experience with a horseback ride into the sunset. For a true hands-on western experience, contact one of the local outfitters who offer half-and full-day horseback rides. When you’re heading back into Grand Lake, take a stroll along the boardwalk for some last-minute shopping and a leisurely dinner, visit the Kauffmann House Museum to learn more about the area’s history, and make sure to take advantage of some water recreation on Grand Lake. More of a thrill-seeker than a history buff or shopper? No problem! Grand County is home to over 600 miles of hiking and biking trails. Visit Winter Park or Fraser to take advantage these elaborate trail systems and bike parks. Reach new heights with a challenging mountain trail or stay in town on a family-friendly route, the choice is up to you! 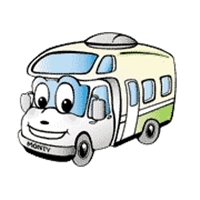 To make the most of your trip, you can easily rent an RV at El Monte Denver RV Rentals. Follow a winding road to find a mountain campground way back in the forest. Hike wooded trails to the secret places where wildlife abounds. Hike back to share your stories with new friends at the campground. America’s state and national parks in mountain locales provide memorable settings for your RV camping adventures. Pick one from our suggestions, and be sure to let us know what you discover! You’ll find this mountain RV camping paradise off Hwy 36 near the Beaver Creek entrance of Colorado’s Rocky Mountain National Park. Elk and deer will greet you as you wake to the splendor of immense Moraine Park and the surrounding Rockies. This Colorado mountain campground puts you close to hundreds of miles of hiking trails, plus scenic Trail Ridge Road, mountain lakes and waterfalls and the mountain village of Estes Park. Details: Paved roads into the campground. No hook-ups at campsites, but toilets and drinking water are available. Bring your solar shower bag to use in the designated shower enclosure to save RV water/power. RMNP shuttle takes campers to nearby trailheads. Campground is close to Estes Park and Moraine Park Discovery Center. The Blue Ridge Mountains within Georgia’s Chattahoochee National Forest are home to wonderfully scenic Black Rock Mountain State Park. Waterfalls, a mountain-top visitor center and scenic vistas surround RV campers who make the trip up this park’s winding roads. Black Rock Lake Trail is popular with hikers of all ages, while two more-strenuous mountain trails lead hikers to unforgettable views. Details: Winding two-mile drive up to campground. Standard water/electric sites, some 50-amp available, showers, toilets, dump station available in campground. Shaded, gravel camping pads. Close to trails, some ranger-led activities available. Located in Coolidge State Forest, we rate this as a mountain campground thanks to the Green Mountain views that surround it. A small, rustic campground nestled in the forest, it’s close to hiking trails well worth discovering. Throughout the state park you’ll find original stone structures built in the 1930s by the Civilian Conservation Corps, adding to the park’s vintage feel. Bonus—park fees also provide access to nearby Camp Plymouth State Park for boating and swimming. Details: No hookups, dump station is available. Flush toilets and coin operated hot showers. Nature center should be a stop for all visitors. Easy access to hiking trails. Where Montana’s Bitterroot Range wraps itself around Painted Rocks Reservoir, you’ll find a valley campground that speaks to the heart of those who love wildlife, remote pine forests and mountain fishing. Two hours south of Missoula, Montana, this small lakeshore campground is the perfect spot for a fishing and camping vacation. Moose, black bear, peregrine falcons and great blue herons call the Bitterroot Valley home, so bring your binoculars and your favorite fishing gear to catch cutthroat trout and whitefish. Details: No hookups, vault toilets, first come, first served campsites. Motorized fishing boats, kayaks and canoes allowed on reservoir, boat ramp available. You’ll find this photogenic spot two hours east of Portland on US-26. Located on the southeast edge of Mount Hood National Forest, Spring Drive Campground combines woodland beauty with RV convenience by offering full hookups for self-contained RVs. Rock climbing, mountaineering, hiking and fishing venues surround the campground, with spectacular views of Mount Hood and other area peaks. Reserve your site before you go, as this is a small, secluded campground popular with hikers and nature photographers. Details: Full hookups, no dump station, separate drinking water or toilets available. RVs must be self-contained. Large, private back-in sites in a forest setting. Why not make it a goal to go RV camping in one of America’s mountain ranges? State and national park campgrounds throughout the country offer scenic campsites, easy access to outdoor recreation and a deeper appreciation for the people who saved these special places for future generations. Let us help with an RV rental reservation close to home or in a city near your alpine destination. The mountains are calling—isn’t it time you answered? Wildflower Touring by RV—Start Planning Now! Whether you’re reading this while the snow blows past your windows or from a beach where there’s endless summer, it’s gonna be spring sooner than you think. With warm weather comes one of my favorite occupations, jumping in the RV and tracking down the meadows, prairies and mountain slopes where wildflowers paint the landscape. By mid-March, the bluebonnets are blooming and they’re joined by red and white poppies, coreopsis, Indian paintbrush, fire wheels and a dozen more vibrantly-colored species of wildflowers in Texas Hill Country. From March to May, you’ll find a gorgeous vista over every hilltop, especially if start in Fredericksburg and follow US-87 north to the towns of Doss, Castile and Mason, saving time to venture onto side roads for even more wildflower glory. One special note: this is a journey best taken during the week, as wildflower lovers come from all over on weekends to enjoy the display. Reserve your spot early at a Hill Country campground, too, so you won’t have to leave this remarkable region too soon. Another extraordinary opportunity to view hundreds of acres of wildflowers in one place can be found in California’s Central Valley at Carrizo Plain National Monument. Depending on winter rainfall, you may spot during March and April purple lupine, golden California poppies, orange fiddleneck and goldenbush carpeting the Monument’s two valleys. As you hike through this nearly quarter-million acre BLM preserve, you’ll be enchanted by daisies and other bright spring florals on the slopes of the surrounding mountains. The two RV-capable campgrounds here are primitive, meaning you’ll need to fill your water tanks and empty waste tanks so you’re self-contained. No electricity here, either, so keep that in mind when you come. If you’ve never experienced BLM camping, it’s a whole different world from developed campgrounds but the back-to-nature peacefulness is worth the adjustment. Our next pick for an RV camping trip to find glorious wildflower color would be to Colorado, where the Crested Butte Wildflower Festival has encouraged in-depth enjoyment of local wildflowers since the 1980s. Scheduled events for this July festival (you’ll need to register online before you come) include 4×4 tours, hikes and rides to discover medicinal plants, photography workshops and more. Expect to see stunning displays of columbines, sunflowers, lupine, elephantella and other showy species of wildflowers on your RV trip to Crested Butte. Camping possibilities near Crested Butte, CO include Lake Irwin Campground in Gunnison National Forest and at least a dozen private campgrounds in the Gunnison/Crested Butte area. Here’s a link to RV campgrounds in Colorado. I’ll complete my list of suggested RV wildflower tours with a trip to the shores of Lake Michigan, where Sleeping Bear Dunes National Lakeshore provides plenty of chances to photograph and otherwise enjoy the wildflowers of spring. The Lakeshore’s Bay View Hiking Trail is a popular hike to find wildflowers. Pitcher’s thistle, pink ladyslipper and orange dune lily are just three of the floral delights you’ll discover as you hike the trails on your own or take one of the ranger-led tours during May and June. You’ll also enjoy camping at Platte River Campground, close to Lake Michigan as well as hiking trails, scenic drives and other National Lakeshore attractions. Do these ideas for planning an RV wildflower tour have you wishing for spring? We understand, and we’re ready to help you plan your trip, complete with a convenient RV rental. Map your route and have your cameras ready; spring wildflowers are just around the corner. An RV trip to Rocky Mountain National Park is never a bad idea. Add in a trek over the Continental Divide on the park’s Trail Ridge Road and you’ll kick your trip up to a whole new level. It’s just an hour and a half drive from picking up your RV rental in Denver to reach RMNP’s eastern gate at Estes Park. Why not take a camping trip to Colorado and marvel at the views that keep RVers heading for Trail Ridge Road all summer? Where to Camp on Your Trip to Trail Ridge Road? If you’ve never experienced RV camping in the Rocky Mountains, there’s no more beautiful location than Rocky Mountain National Park. Three campgrounds within the park’s boundaries (and splendidly surrounded by mountain scenery) are suitable for RVs. You also have several choices for campgrounds near the Park; one of the most convenient is operated by the Estes Valley Recreation and Park District. The Estes Campground at Mary’s Lake can accommodate large RVs with full hookups, and offers fishing at the lake and easy access to the charming mountain village of Estes Park. Private campgrounds in the Estes Park area are also well-equipped to welcome motorhome and travel trailer campers. One more possibility with stunning views, if you enjoy dry camping, can be found at Herman Park Open Space Campground, south of Estes. But now it’s time to talk about the reason you’re in Northern Colorado—the chance to travel nearly fifty miles, from Estes Park to Grand Lake, through alpine forests and then rocky tundra, on the highest scenic byway in America. Trail Ridge Road, after crossing the Continental Divide, peaks at 12,183 feet before sweeping back down the mountainside to about 8,000 feet in elevation. This two-lane highway can be traveled with ease in summer, thanks to no more than a seven-percent grade while gaining four-thousand feet in elevation. What that means is that, between late May and October, you won’t have trouble making the grade in an RV. But what you’ll see along the way is the real reason RV travelers wind their way up Trail Ridge Road. As the treeline drops away, the immense, barren tundra allows views of ‘fourteeners’ all around. Wide loops of highway make their way across this plain to just above twelve thousand feet, with perfect views as far away as Denver. Impossibly deep, boulder studded canyons plunge away as you travel the highest continuous paved highway in North America. Keep an eye open for elk, moose and bighorn sheep along the route. The variety of terrain promises an abundance of plant and animal life accustomed to alpine habitat. Take advantage of the many pull-outs to stop and experience the views from outside your vehicle. Be sure to explore the Alpine Visitor Center at Fall River Pass to learn more about the tundra and enjoy some of the best views on Trail Ridge Road. If you have time, follow at least one of the trails that intersect the highway for a more intimate look at life above the treeline. Keep in mind it’s much cooler, as much as thirty degrees, at this elevation, so dress accordingly. Your trip along Trail Ridge Road may well be the highlight of your RV camping trip to Rocky Mountain National Park, but you’ll want to spend some time discovering at least a few of the other attractions there. Holzwarth Historic Site/Never Summer Ranch near Grand Lake on the west side of RMNP is a look back at a 1920s dude ranch and the Park’s early history. You’ll also want to make the drive to Horseshoe Park for premier wildlife viewing opportunities. Take a hike through a mountain meadow, up the side of a mountain or around an alpine lake on one of the park’s nearly three hundred miles of trails. There is literally no place within Rocky Mountain National Park that isn’t memorable, so why not stay awhile and find your favorites? A drive along Trail Ridge Road can be the beginning of a lifelong love affair with the Rocky Mountains, or the highlight of this summer’s return trip to Colorado. Book your campsites and RV rental now so you won’t miss a day of adventure. What plans have you made for camping on Memorial Day Weekend and beyond? With the beauty of America’s state parks just waiting to be enjoyed, there’s no time like the present to find your favorites in the comfort of a motorhome or travel trailer. If you need some help deciding where to go first, why not use our list below of nine state park campgrounds that RV campers love to visit? Then build your own list and be sure to let us know in the comments section where you plan to go RV camping this season. “Camping by the rocky Pacific shore, just off iconic Highway 1 north of San Francisco”. Doesn’t that sound like a splendid way to kick off camping season? With coastal trails, an underwater park for divers and coves just waiting to show you the best views of the summer, there’s no reason not to add Salt Point State Park to your camping itinerary. Fishing, paddling and more bring RV camping families to this state park near Chesterfield, VA. Besides the many miles of hiking, mountain biking and multi-use trails, you’ll find an Aquatic Center for swimming with the kids, Beaver Lake where you can rent canoes, kayaks and paddleboats and Swift Creek Lake, where the largemouth bass can be legendary. It’s just three hours north of Roanoke, VA and easy to access from Richmond and Norfolk, too, so why not make this park a goal for this summer? Sugar sand beach, a scenic coastal dune lake and a pleasant RV campground—that’s what you’ll find at Grayton Beach State Park on Florida’s Gulf Coast. Not only can you play on the beach and hike the trails through coastal forest and dunes, you’ll also enjoy Western Lake, a prime spot for paddling and fishing. Why not kick off the summer camping season by picking up your Denver RV rental and then heading west (and a little north) just thirty miles to Golden Gate Canyon State Park? Your camping party will find twelve-thousand-acres of rocky, tree-lined trails, be surprised by clear mountain lakes and, in the midst of all that, enjoy modern, convenient RV campsites. About an hour and a half northeast of Baltimore, jutting out into Chesapeake Bay, is a wonderful place where hiking, lighthouse viewing, swimming and RV camping are just the beginning of the adventure. Elk Neck State Park, on the peninsula between Chesapeake and the Elk River, offers a whole vacation full of interesting things to do. Bonus: Nature photographers are going to love the trails, the seaside cliffs and the wealth of wildlife this gorgeous state park promises. What if you could pick up your RV rental near New York City and then drive north a couple of hours to a wooded paradise on the Hudson River? Would that help you jump into summer RV camping season? Then a visit to Mills Norrie State Park is in order! Wooded, no-hookups campsites with views of the river, trails through forests and to state historic sites, a legendary public golf course, a river marina and an on-site environmental center round out the perfect spot for a summer vacation on the Hudson. Just a couple of hours northwest of Sacramento is the chance to camp on the shores of California’s largest freshwater lake. Clear Lake State Park is a bass angler’s dream that also promises shaded campsites, hiking and interpretive trails and a visitor’s center. Bring the boat and plan to stay awhile! Drive an hour straight west from our Glen Ellyn El Monte RV Rentals location and you’ll find Shabbona Lake, the “Muskie Capitol of Illinois”. Besides great fishing, your crew can rent kayaks and discover the lake’s scenic shoreline, hike the woodland trails and enjoy the amenities at the state park’s well-managed campground. A place to play for everyone—that’s the best way to describe the playground two hours south of Salt Lake City. Palisade State Park, home to Palisade Reservoir (great trout fishing here! ), is also home to a public golf course, an expansive campground, miles of hiking trails and OHV trails in a high desert canyon. What could be better for kicking off summer camping season? These are just nine of the places people like to play when they go state park RV camping in America. Let us know where you like to go, and as always, let us know if we can help with an RV rental. Chase a splash of red up a mountain road, and be rewarded by an endless valley filled with autumn colors. Wake up in your RV campground to the blaze of red and gold glory all around. That’s the beauty of an RV camping trip to find fall color. These six spectacular trips offer a banquet of autumn beauty to RV travelers. It’s not too late to plan your itinerary! Gatlinburg, Tennessee: Located on the northern boundary of Great Smoky Mountains National Park and half a day’s drive from Louisville, KY, Gatlinburg is one of our favorite autumn destinations. Use it as your starting point for one of the many scenic drives through the National Park to net a camera full of autumn color. Bristol, Rhode Island: There’s never a bad time of year to drive Rhode Island’s coastal highways, and autumn there is particularly memorable. From the grounds of the Blithewold Mansion to the autumn wonders of Colt State Park on Narragansett Bay, RV travelers will find their fill of fall color in Bristol. RV vacation bonus—it’s a short drive via I-95 from Boston! Park City, Utah: If you find yourself RV camping near Salt Lake City this autumn, take the time to visit Park City, less than an hour east on I-80. That’s where to start your journey through miles and miles of golden aspen as you follow the Provo Canyon Scenic Byway, with a side trip up the Alpine Scenic Loop “Backway” through Sundance. Don’t miss this Western wonder of nature! Fraser and Hwy 34 from Grand Lake to Granby. Autumn travel extra—keep an ear open for elk bugling during fall mating season! Tioga County, Pennsylvania: Here’s an RV traveling family’s chance to see the PA Grand Canyon, as well as unforgettable autumn vistas! Tioga County, PA, a couple hours’ west of Kingston, boasts charming towns like Wellsboro, where quaint shops and homes are surrounded by glorious hardwoods in full autumn blaze. Follow the county roads between Ansonia, Wellsboro and Colton Point State Park for your best fall camping trip photos. Galena, Illinois: As your motorhome rolls into Galena, Illinois, be prepared to be charmed! This Mississippi River town along the Great River Road blends abundant autumn leaves, streets winding up scenic hillsides and Victorian homes and shops galore. About three hours west of Chicago, Galena is one of the finest places to find fall foliage in the Midwest. Admit it, you’re hoping to make an RV trip into the countryside to witness the beauty of autumn foliage. Use these suggested itineraries to start your trip planning, and don’t forget to give us a call if you’re in need of an RV rental. This autumn promises to be spectacular! Don’t miss the chance to see it for yourself with an RV camping trip to find fall color.